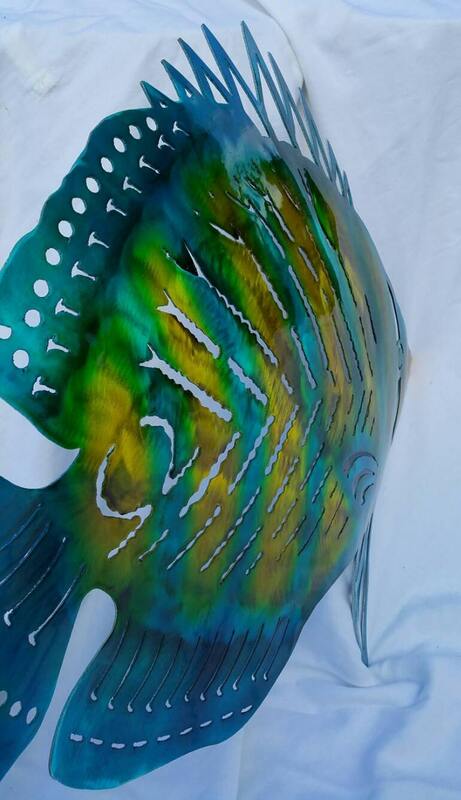 Plasma cut butterfly fish from aluminum. 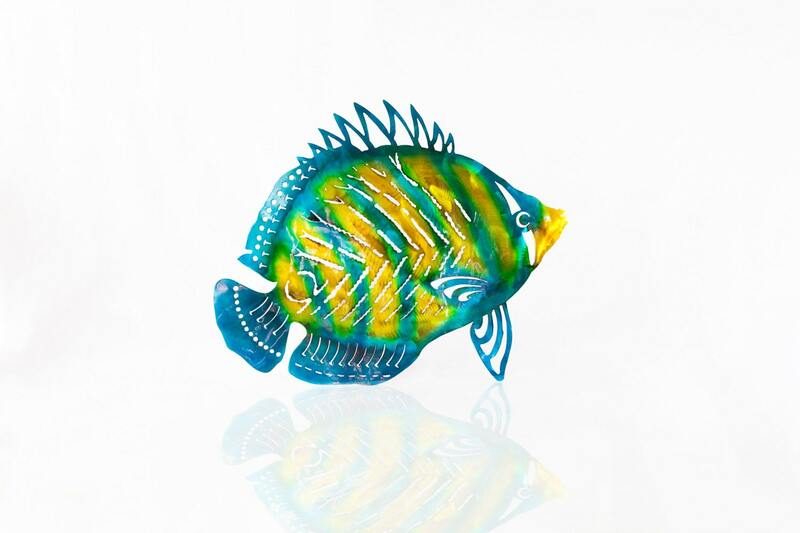 Hand cut and formed using a hammer and planisher, this fish is one of a kind! Finished in natural aluminum then formed using a hammer and dolly. 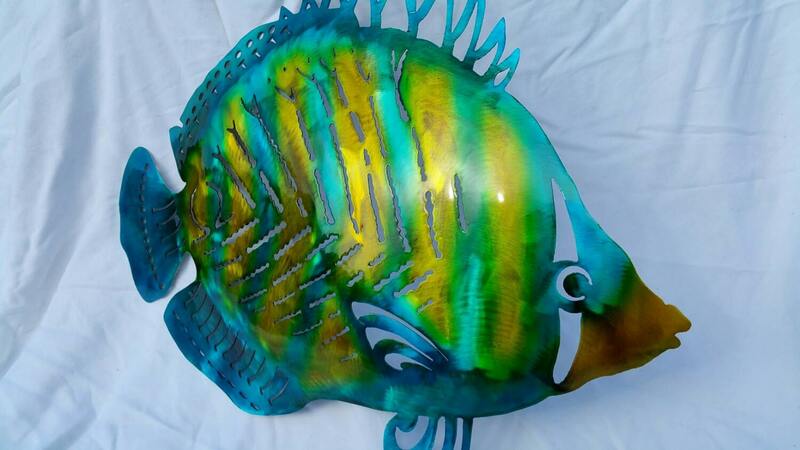 Fish is sprayed in an automotive clear coat to protect the finish from oxidizing. Comes with a wire hanger for mounting....or contact us for custom mounting ideas! 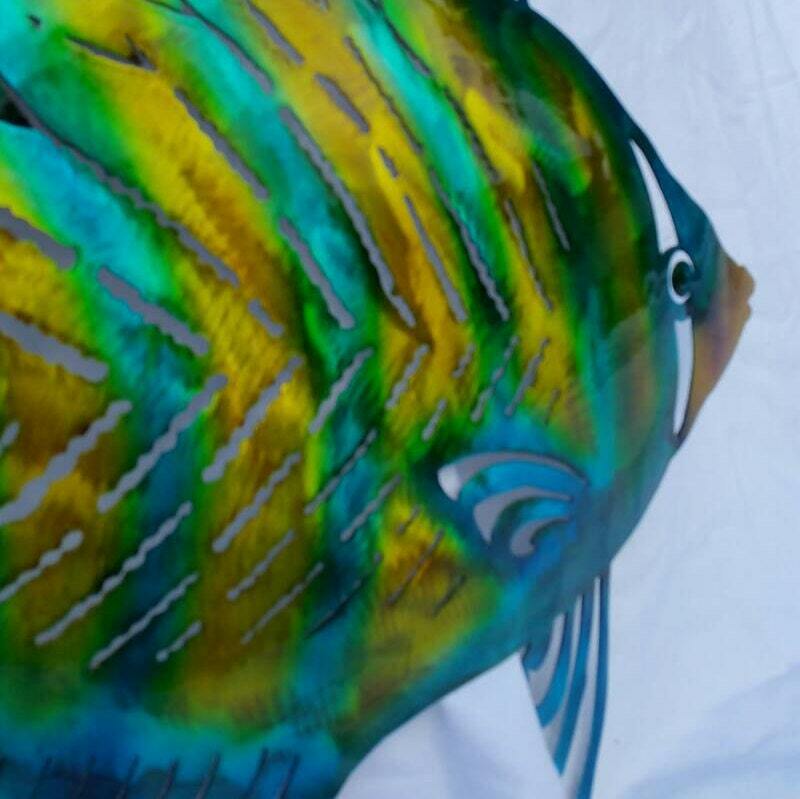 Colorful fish as shown in picture is the option for "airbrush/clearcoat".